NAACP vigil in north Mpls - @nvlevy tells crowd it's the "most beautiful gathering I've seen in my life"
Brooks says have to turn up the heat and turn up "our lawyer, press our case"
Protesters say they want to show they're united no matter race, ethnicity, religion care about the community. BLM's Mica Grimm tears up, says she's in mourning. "We are done with the deaths, we are done with the killings and the lies"
Grimm says protesters risk getting arrested by occupying the 4th precinct. 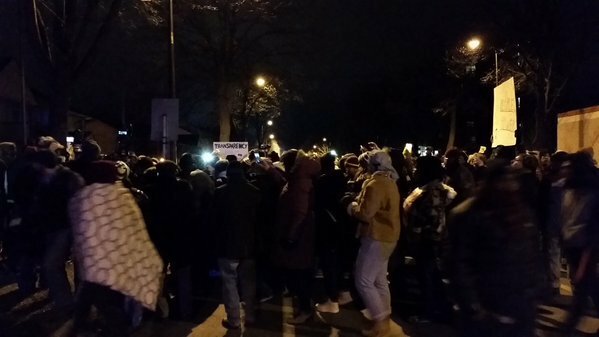 Black Lives Matter protestors say they want justice for Jamar Clark. 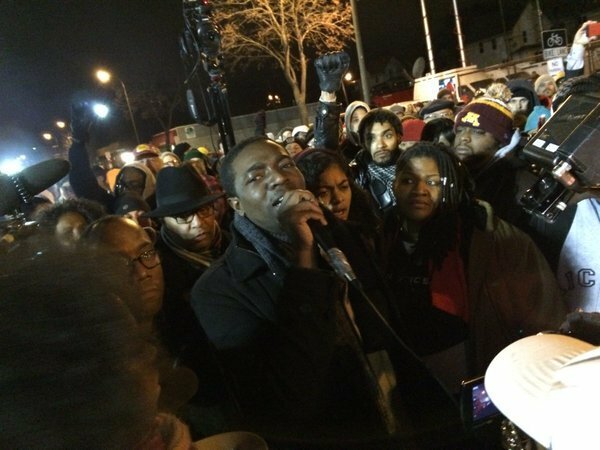 "I know that Jamar didn't die in vain." - Black Lives Matter protestor. Steven Green of the NAACP speaks. 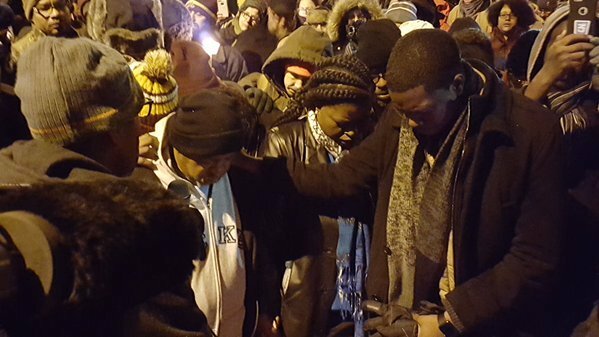 "America must respect us, America must value us"
NAACP national president: "Turn up the heat, and turn up the light"
The head of the national NAACP encouraged hundreds of protestors in Minneapolis to keep fighting for justice in the wake of the police shooting death of 24-year-old Jamar Clark. 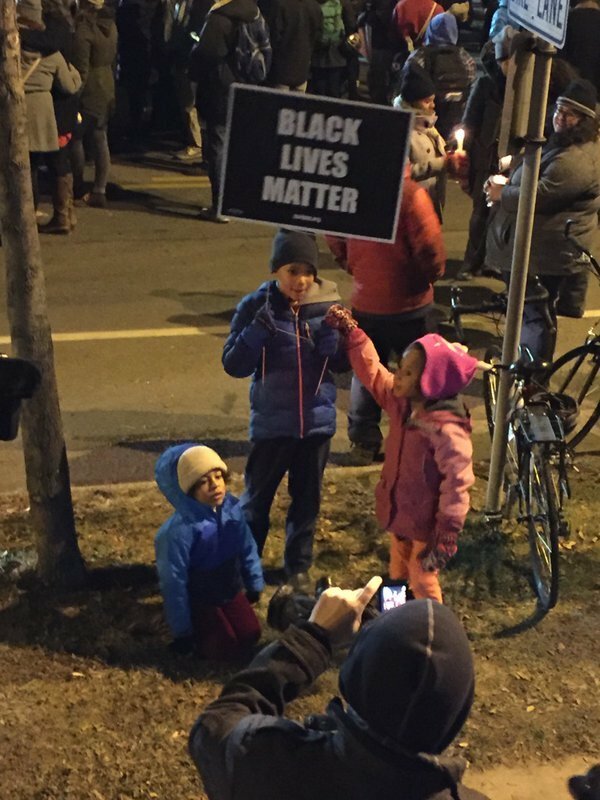 Cornell Brooks, the group's president, joined the protesters outside the Fourth Precinct for a vigil late Friday afternoon. He said he'll need the community to stay in the fight for the long haul. "I've got to be clear here. We have to both turn up the heat, and turn up the light," he said. "We have to press our case, make the case forcefully, but also nonviolently." "We who believe in freedom will not rest." - Black Lives Matter protestor sings. 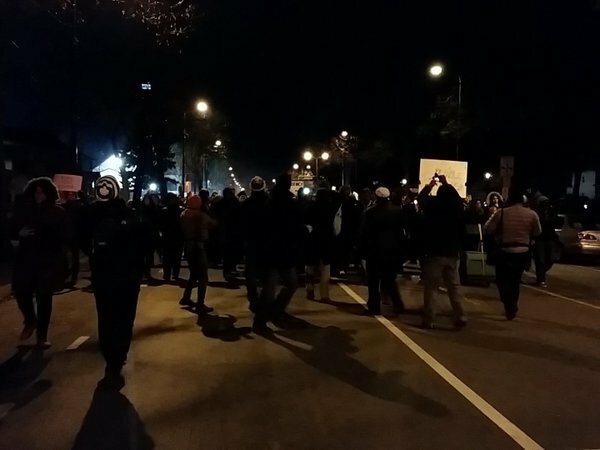 Speaker warns protesters of "White supremacist" plotting to cause trouble tonight. 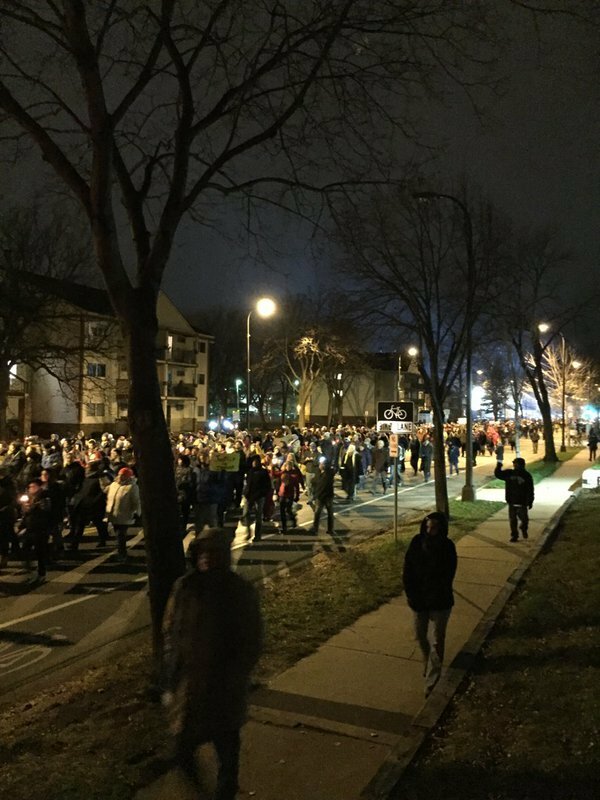 About 500 protesters begin to march on Plymouth Ave. 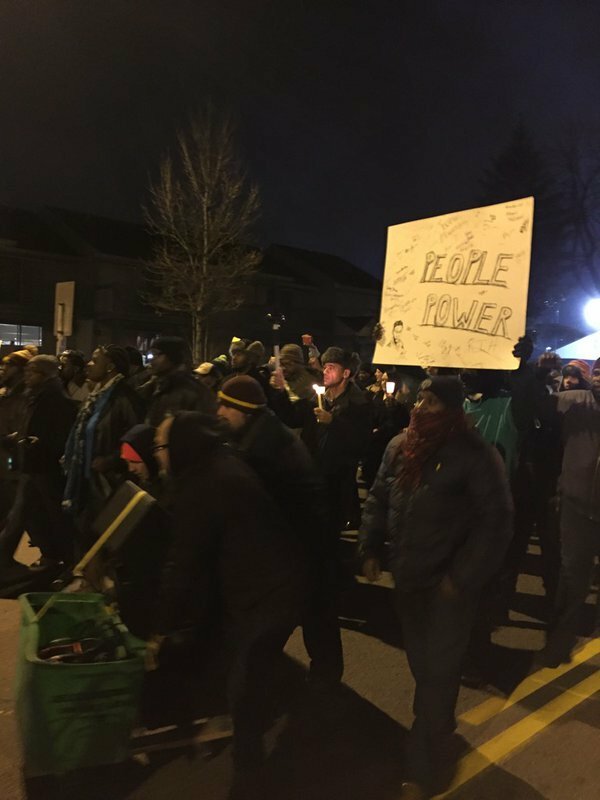 Protesters in front of the Minneapolis police department's Fourth Precinct held a vigil late Friday afternoon, as leaders from the national NAACP joined the group's nearly weeklong efforts. 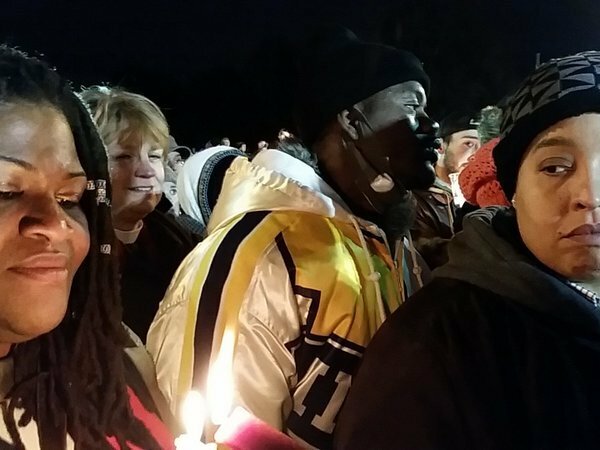 Prayers, poetry, speeches and song carried the roughly hourlong service, as the gathered crowd held candles and peppered the speakers with applause and encouragement. 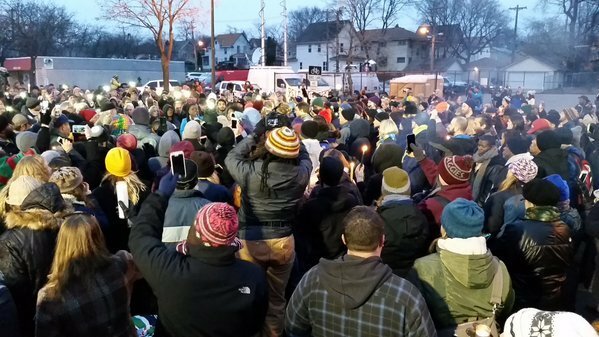 Minneapolis NAACP president Nekima Levy-Pounds called it "the most beautiful gathering I've ever seen in my life." She applauded the young and the old and the people from diverse backgrounds who had joined the demonstrations all week. "It's cold as I don't know what out here in Minnesota. And they're standing out here on the front lines!" she told the crowd. Levy-Pounds said problems -- the one they'd gathered to address, and others like homelessness, hunger and unemployment -- could be solved by people coming together. She thanked the demonstrators, and recognized the others who had brought food and tents and supplies. 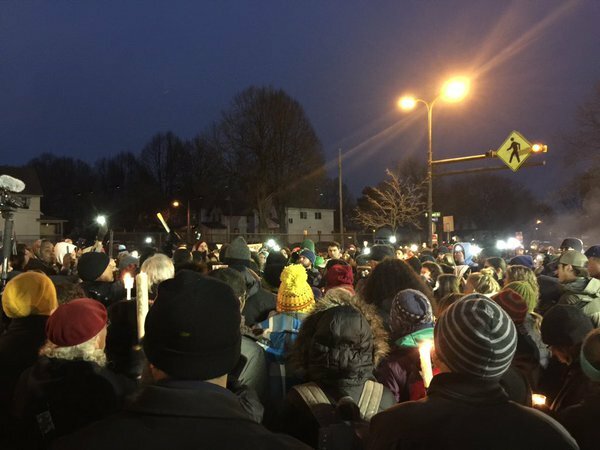 She encouraged the demonstrators to remain at the precinct until officials meet their demands to release video surveillance tapes from near the scene of Jamar Clark's shooting death. 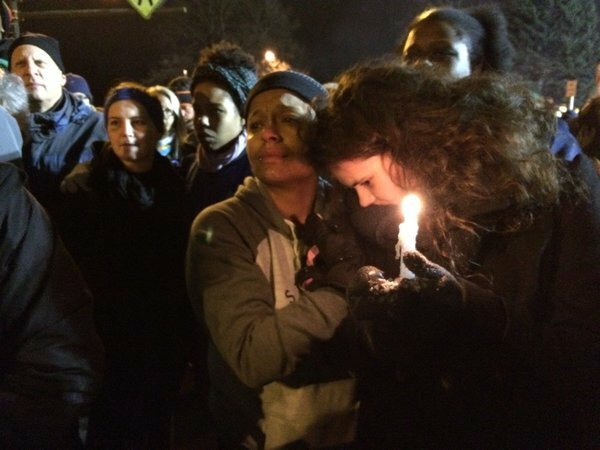 "Jamar deserved to be treated with dignity and respect," she said. "And that's why we're here tonight, to honor his memory." National NAACP president Cornell Brooks tied the crowd's actions to the Civil Rights Movement's march from Selma to Montgomery, 50 years ago. "You stand in that lineage," he said. "You stand in that path. You are here because you're seeking to [promote] the cause of justice." 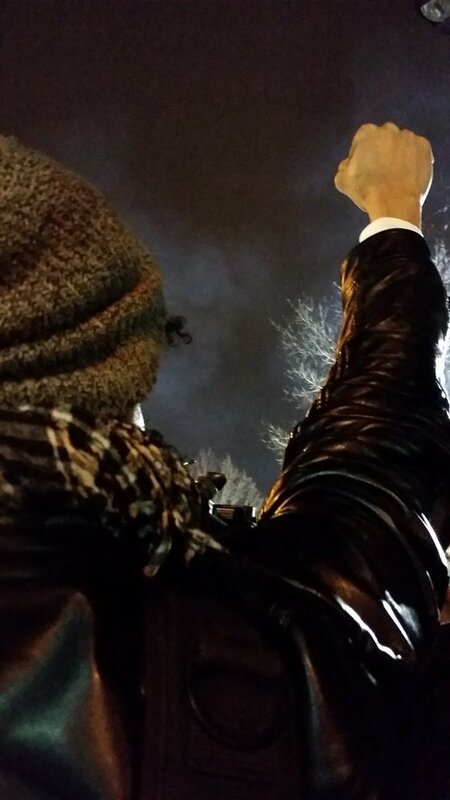 He encouraged the crowd to remain peaceful -- and disciplined. "If we throw arguments and organization and demonstrations and prayer vigils and not rocks and bricks, we can get the justice we seek," he said. "If we stand in a disciplined fashion and we're able to go to the bargaining table and demand civilian review boards that work and body cameras that work and are turned on ... If we had body cameras, we wouldn't be looking for video tape." 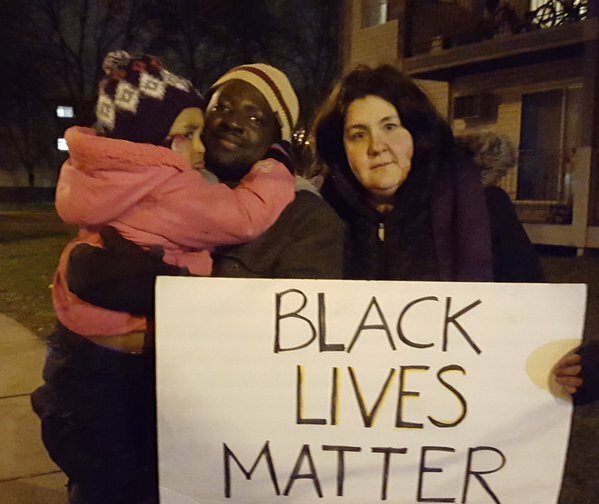 Vigil speakers included Black Lives Matter organizers, a local poet, Minneapolis pastors and civil rights legends like Josie Johnson. Black Lives Matter organizer Asha Long took to the microphone and called on Minneapolis Mayor Betsy Hodges to release the tapes. "Mayor Hodges, we expected more of you," she said. 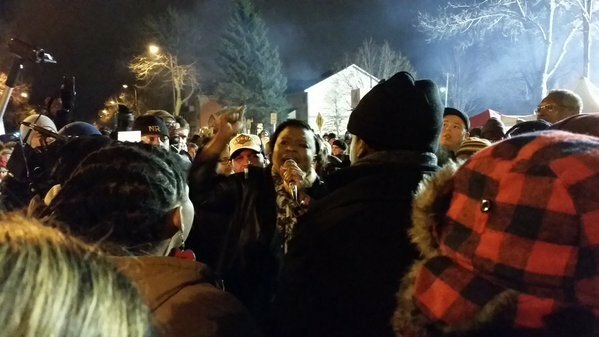 She invited Minneapolis Police chief Janee Harteau to the protest. "Ask officers of the Fourth Precinct to learn" the names of community members, she said. And she called on Ward Five city councilman Blong Yang, who represents parts of north Minneapolis, to visit the protesters. "We are in your neighborhood," she said. "Where are you?" 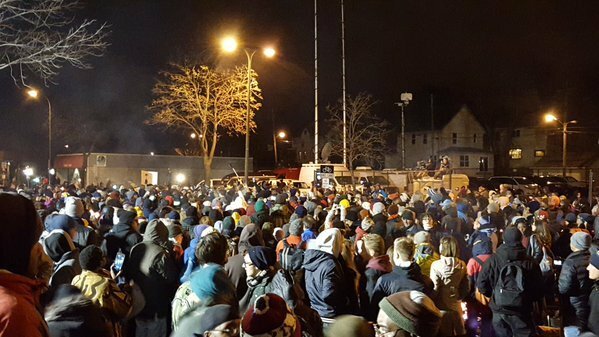 The vigil ended, and the group moved toward the site where Clark was killed early Sunday morning.